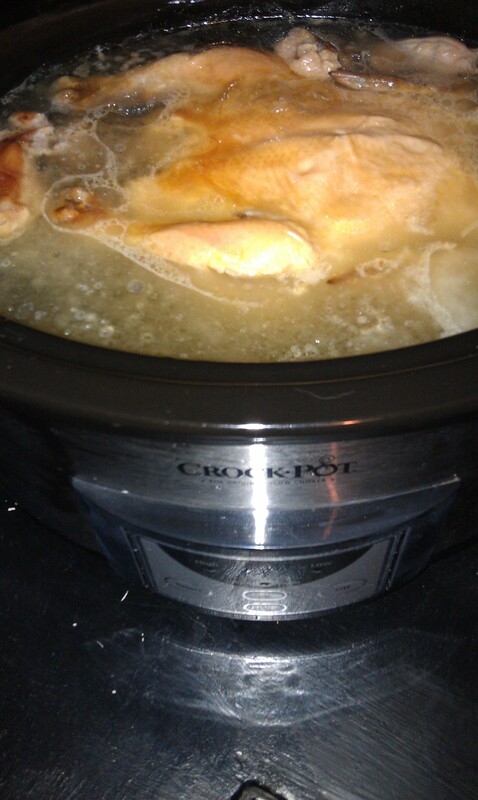 Place whole chicken in a crock pot and cover with water (if your chicken came with giblets you can put it in also). Cook on low for 8 hours. 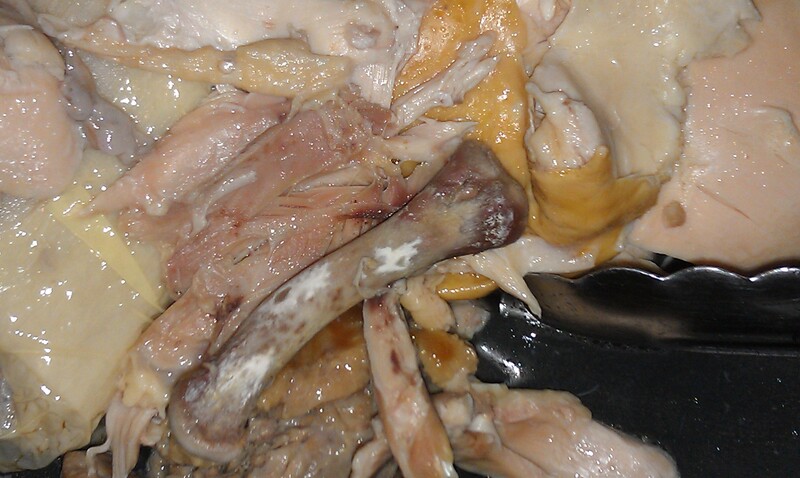 Remove chicken from the water and remove meat from the bones. Return bones to the crockpot and continue to cook on low for another 8 hours. Discard chicken skin and refridgerate the meat. Add the peeled garlic, sliced onion and carrot with the cooking bones. After 8 hours remove the bones. 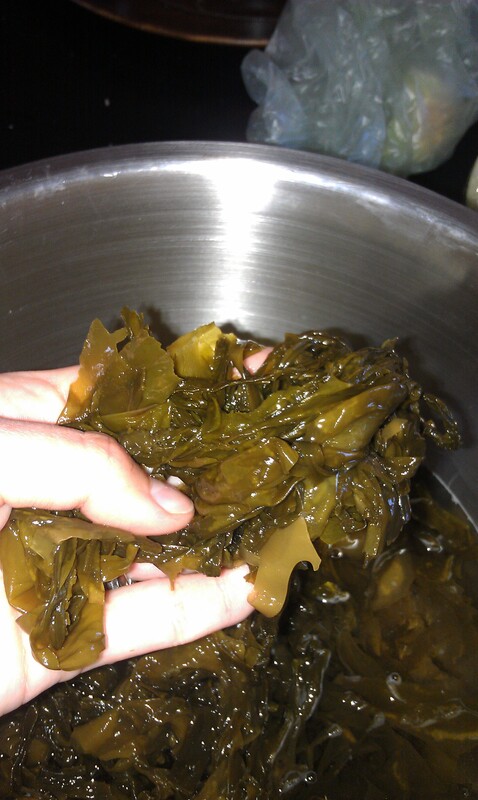 Soak the seaweed in water (cover and submerge completely) for about 10 minutes. 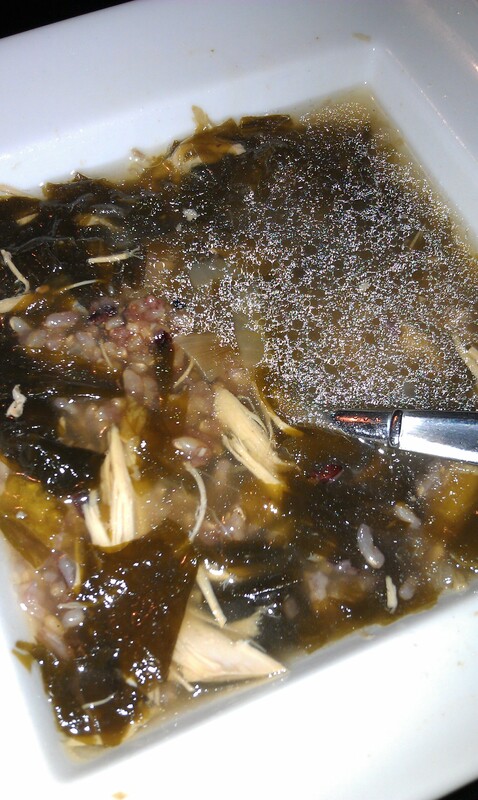 Remove seaweed from the water and cut with scissors into bite size pieces adding it to the bone broth (save the water). 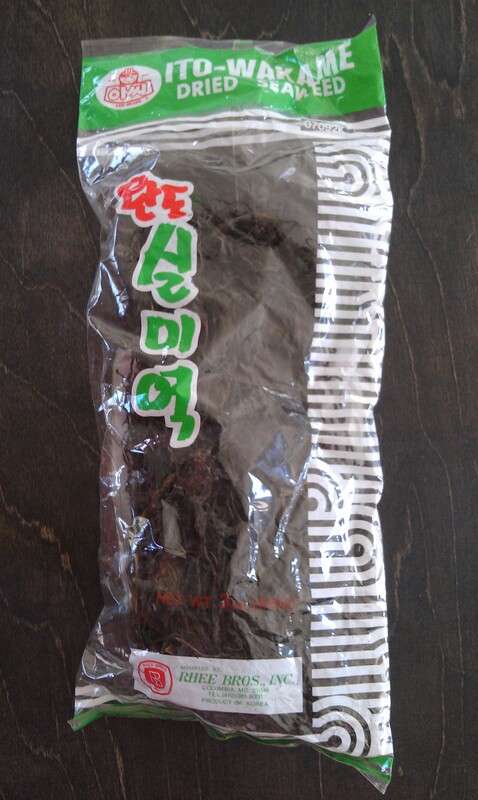 Return the now chilled chicken to the broth with the dashi and soy sauce. 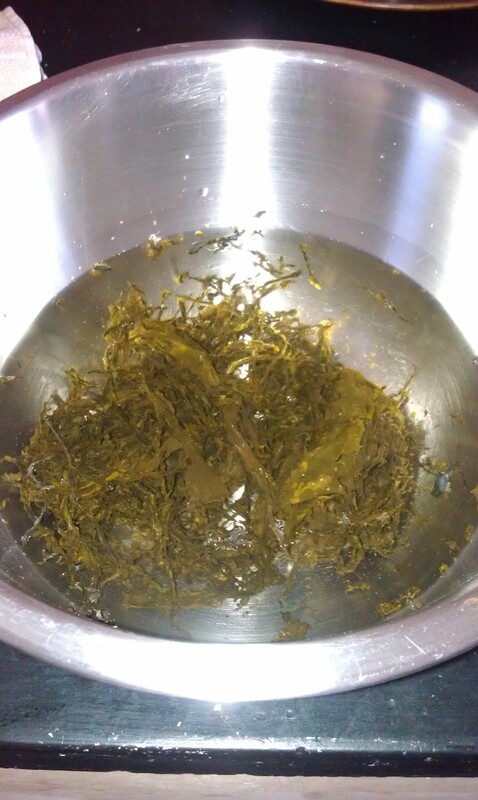 Also add the seaweed soaking water. At this point you will divide the concentrated soup. Ladle half of the soup into a seperate soup pot and add water to fill pot. Also add water to the crockpot. 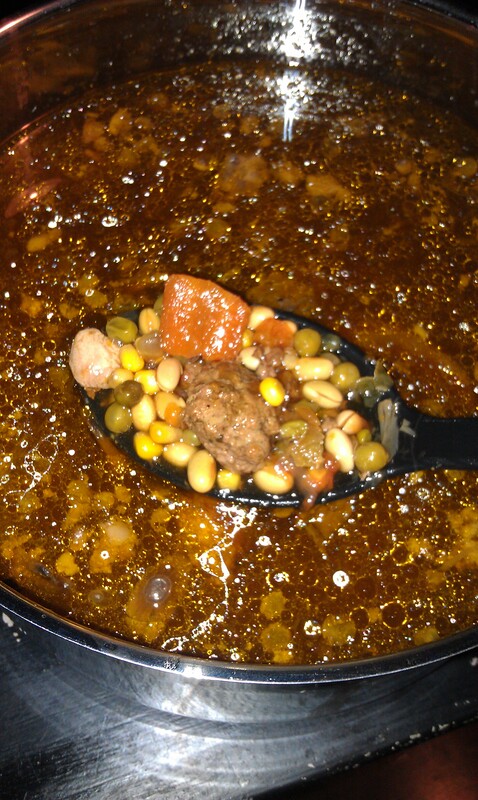 Leave the crock pot on low for 2 more hours and cook the divided off batch in the soup pot on medium for 2 hours. Combine meatball ingredients and roll into small balls. Brown on med heat and set aside. 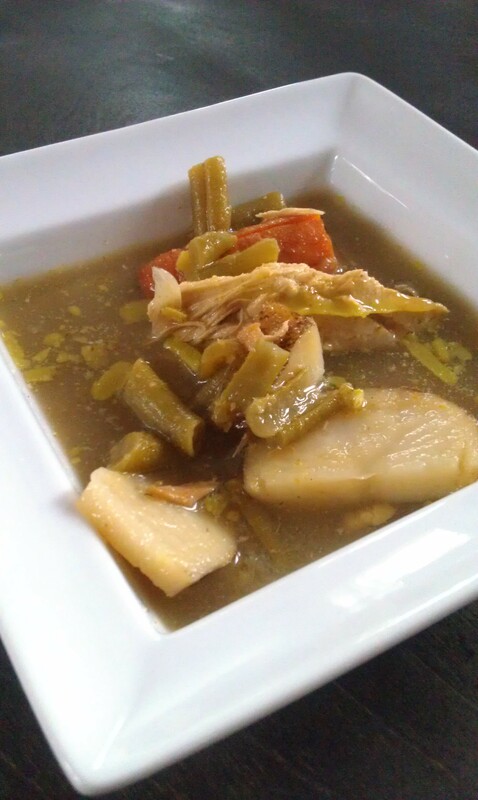 Bring bone broth to a boil and add all soup ingredients bring to a simmer. Add meatballs and cook at a simmer for 40 mins until flavors are combined and meatballs are cooked all the way through. Fill a large soup pot with broth. Add sliced carrot, sliced garlic clove and potato and bring to a simmer. Add chicken breast. 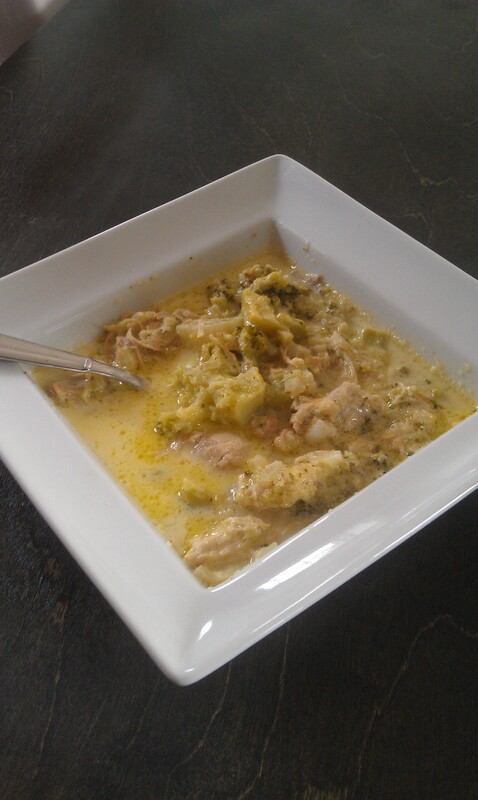 Once chicken breasts are no longer pink take out of broth remove meat from bones shred and put meat aside. Add bones back to broth and stir in thai green curry and green beans. 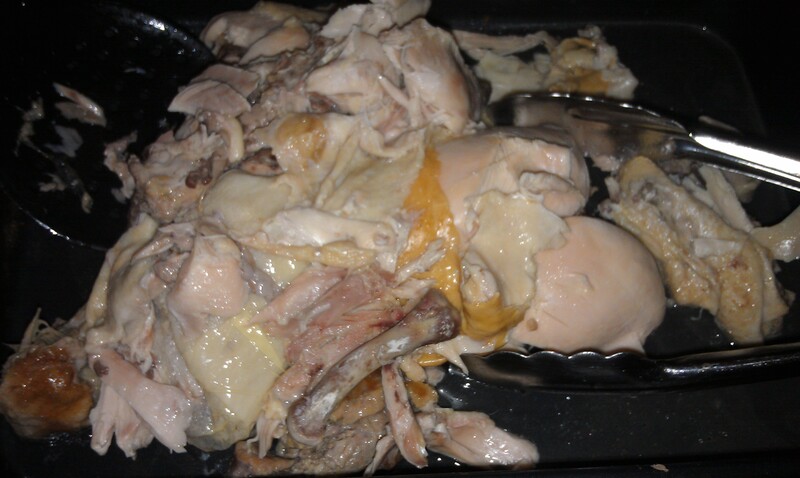 After 30 minutes remove bones and add back in chicken. Continue to simmer for 20 minutes and remove chicken bones. Heat up olive oil in soup pot. Add diced onion and cook til soft. Add shredded carrot, broccoli and chicken broth. Once up to a simmer spoon out some of the broth and about 1/3 of the broccoli into a blender and let cool for a bit. Blend til smooth and add back to soup pot and stir. Add heavy cream and cheeses. Stir til cheese melts. Add turkey salt and pepper to taste. Cook on low until all flavors merge (about 30 minutes). This got a thumbs up from the husband yay!